Neil Gaiman tweeted that he was going to be performing at the Barbican in London. I dropped what I was doing and headed immediately to the Barbican’s website and bought my tickets. That was back in January. When July finally rolled around, I was excited to see Neil in action, but couldn’t remember for the life of me what the performance was supposed to include. The Barbican’s website was no more illuminating, describing the evening as ‘A revolutionary new concept of multi-media storytelling.’ What on earth did that mean?! 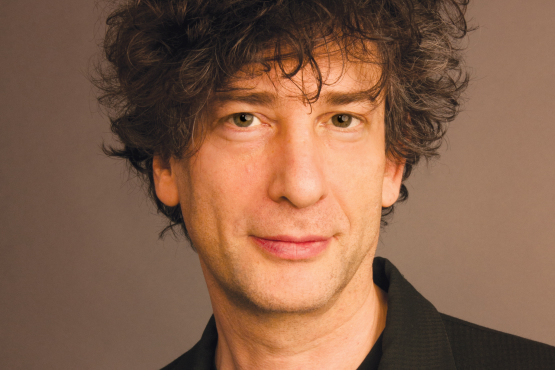 Ostensibly, the show consisted of Neil Gaiman reading short stories. While he was a small figure on stage, reading from behind a lectern, his presence when he started reading filled the venue. Even the best stories can be ruined by a poor reading, but Gaiman has enough energy and personality to carry them and hold the audience’s attention. Thankfully, he manages to avoid falling into monotony, remaining vibrant throughout. 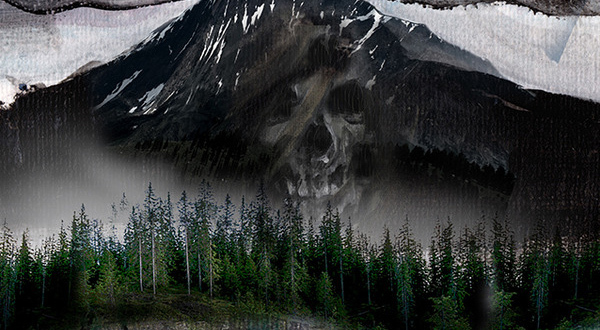 With the help of a live soundtrack and accompanying graphics projected onto a large screen behind him, the reading of his newest published title, The Truth is a Cave in the Black Mountain, was a transcendent experience. The show was split into two halves. In the first half, Australian string quartet FourPlay took to the stage, playing four of their own tracks. They were remarkably talented with moody, exquisite string music, some of which sounded like it could be part of the soundtrack to Joss Whedon’s Firefly. Then Neil arrived on stage with very little ceremony, but to great applause and cheering. He read several short stories, the first of which was entitled ‘Orange’, with an interesting format for storytelling – responses to questions without being given the questions. Neil also read two stories from his project with Blackberry in 2013, Calendar of Tales. Back in February 2013, Neil asked questions on twitter using the #KeepMoving hashtag (questions like ‘Why is January so dangerous?’, ‘What historical figure does March remind you of?’, ‘What’s the weirdest gift you’ve ever been given in May?’, and ‘If August could speak, what would it say?’) and used the responses from his fans to craft 12 short stories. He read the stories of April and September to an appreciative audience. You can read Calendar of Tales here (including listening to the audio) or download a PDF of them here. To finish the first act, Neil invited FourPlay back to the stage to accompany him in a rendition of ‘Psycho’. A song so weirdly wonderful it was the perfect closer for part 1. While Neil seems to be growing more comfortable with singing, his nervousness still shines through (in an entirely endearing manner) with his awkward fists stuck out either side of him, unsure of what to do with his hands (without the help of a lectern and script to hold onto). Act 2 was what you might call ‘the meat’ of the show. 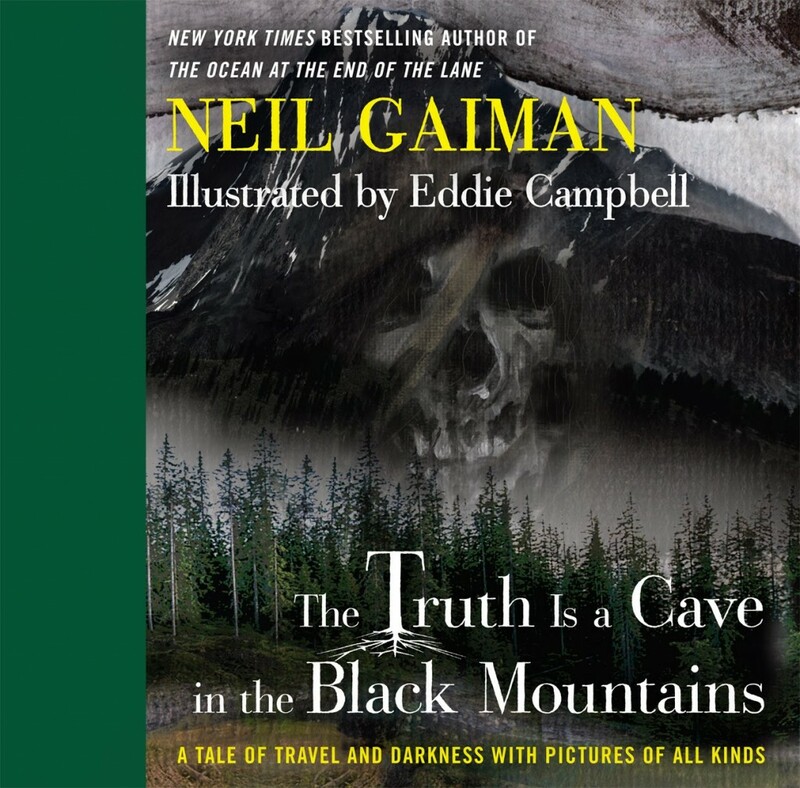 Neil read The Truth is a Cave in the Black Mountains (something he described as a short story on the night, but his website describes as a novelette), with musical accompaniment from FourPlay, and images by Eddie Campbell. The production was originally created for an event at the Sydney Opera House in 2010 and has since been expanded on and performed in a number of venues all over the world. The combination of reading with audio-visual elements was completely immersive. 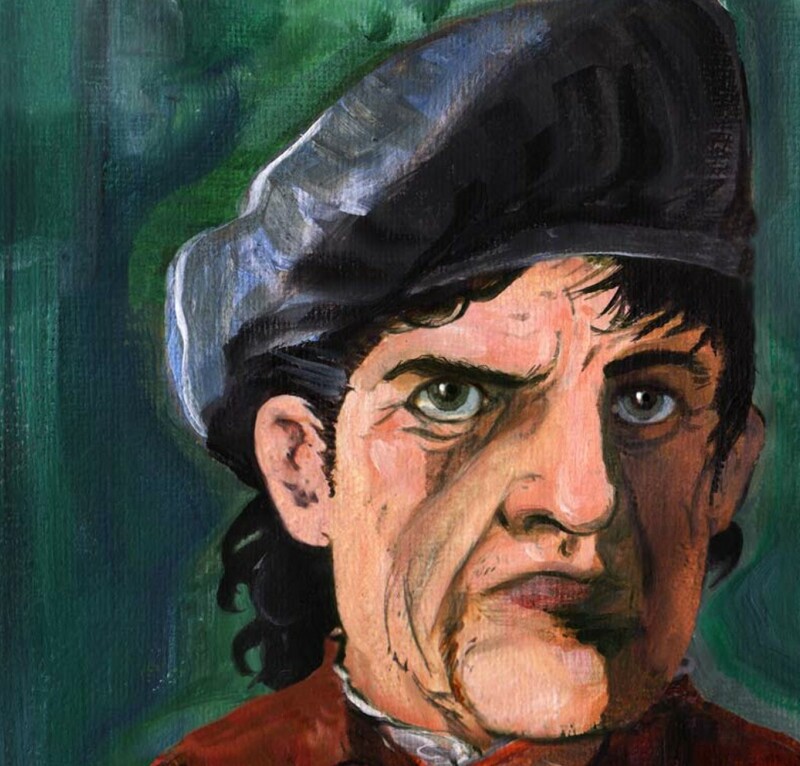 We were transported into Neil’s world of revenge and Scottish legends. The live string music is played throughout the reading, at times swelling and taking over, creating an eerie, palpable mood within the Barbican Hall. Voice was also used intermittently with the string instruments, leaving us with haunted images of spirits. The timing was impeccable, the musicians and Gaiman being very aware of each other and where they were in the story. Campbell’s images were projected on screen in time with the words, illustrating the story as it unfolded. The images were a combination of traditional paintings and digital paintings with photographic collages. The collection of the story along with all the images has also been combined into an illustrated book that reads halfway between a novel and a comic book. The Truth is a Cave in the Black Mountains takes place in the Scottish highlands. A dwarf seeks out a guide to take him to a cave shrouded in legend – the cave is supposedly full of gold. But what is the price of taking such gold? For there is always a price. His guide, Calum MacInnes, escorts the unnamed hero across the Scottish wilds where they encounter all manner of people. As the personal history of each of the travellers is slowly revealed, it becomes clear that this is no journey to find wealth in a mysterious cave, but something else entirely. 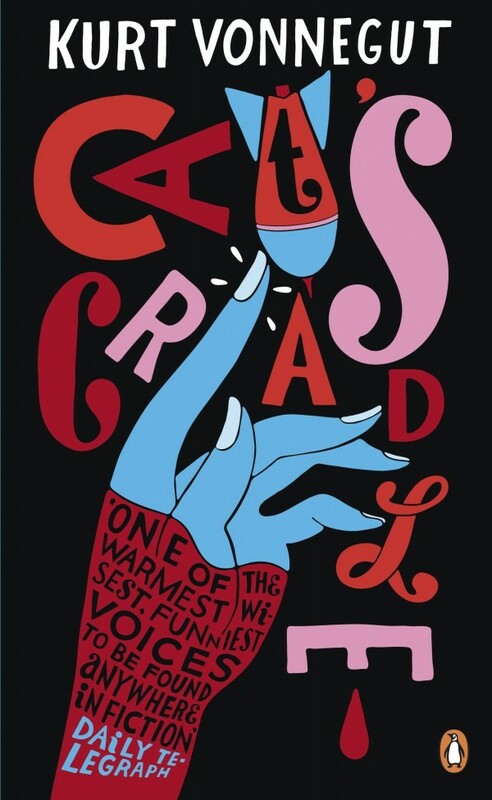 According to the ‘programme’, the show was meant to close with Hayley Campbell (daughter of artist Eddie Campbell and writer of The Art of Neil Gaiman) interviewing Neil and FourPlay. Instead, we were privy to a special treat. Ben Folds was due to perform at the Barbican the following night and made a surprise appearance on stage to accompany them on the piano to close out the show. 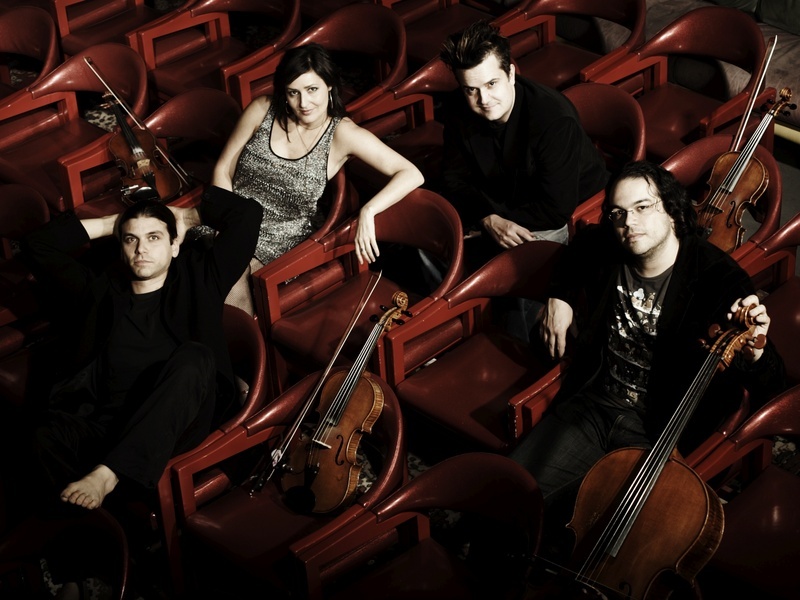 They performed the track ‘The Problem with Saints’ from the ‘8 in 8’ project in 2011 that consisted of Neil Gaiman, Amanda Palmer, Ben Folds, and Damian Kulash. Verdict: The show was a joy – full of Neil’s brand of weirdly imaginative tales, performed with his usual charisma. The addition of FourPlay and Eddie Campbell was inspired, creating a stunning multi-media event. I went on Friday night – we had a slightly different selection of music and readings in the first half – readings were July and October tales, The Day the Saucers Came, and ‘Adventures’ and Neil sang ‘I Google You’ in the first half and ‘Psycho’ at the end of the second. Have you seen Neil read before? This was my first time seeing Neil read, but I’ve been enjoying listening to his readings on the album he made with Amanda, ‘An Evening with Neil Gaiman and Amanda Palmer.’ It was great to finally get to experience it in person!